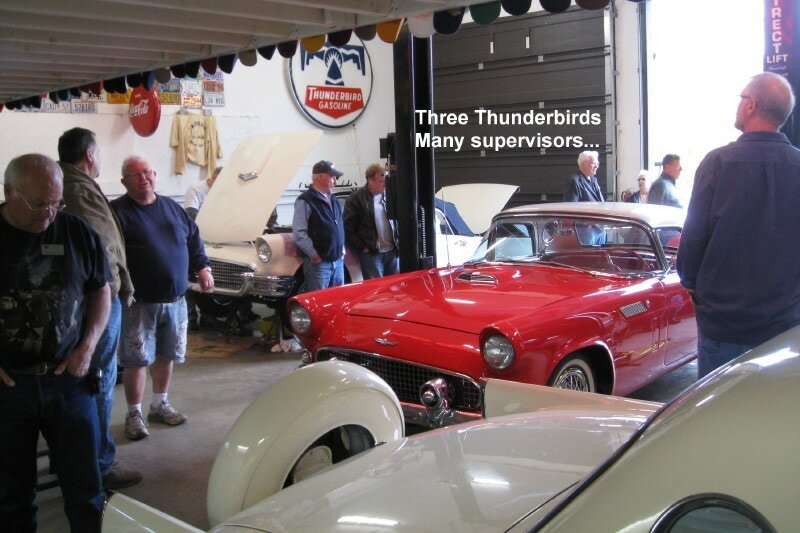 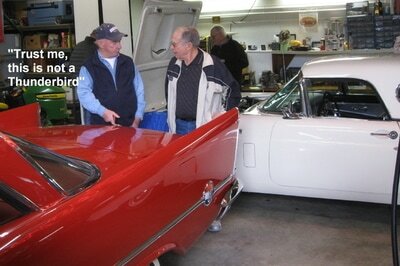 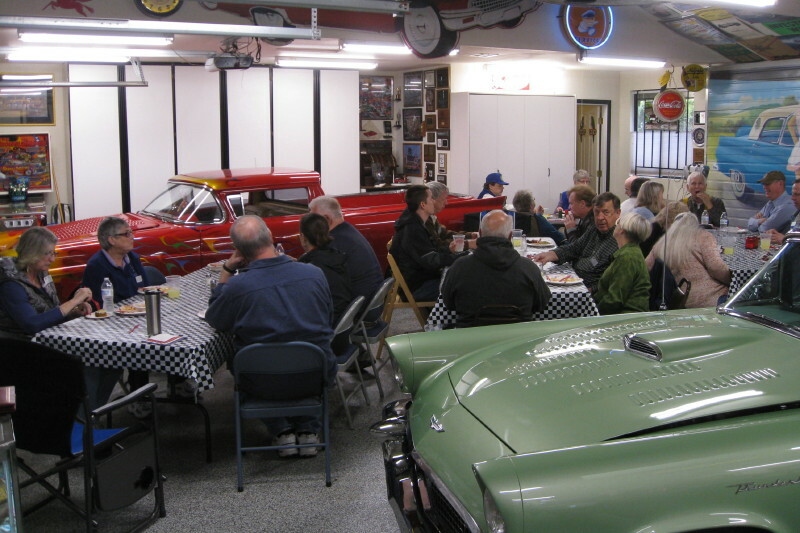 On Saturday, April 22nd many of the club met at Jerry and Sharron Sharp's to work on several Thunderbirds. 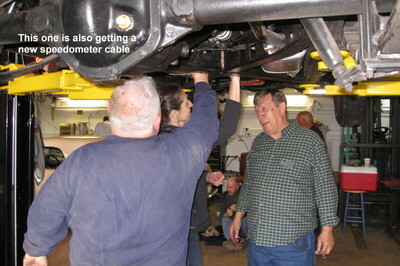 Brakes, Speed-O-Meter cables, newly chromed bumpers and cooling fans were all worked on. 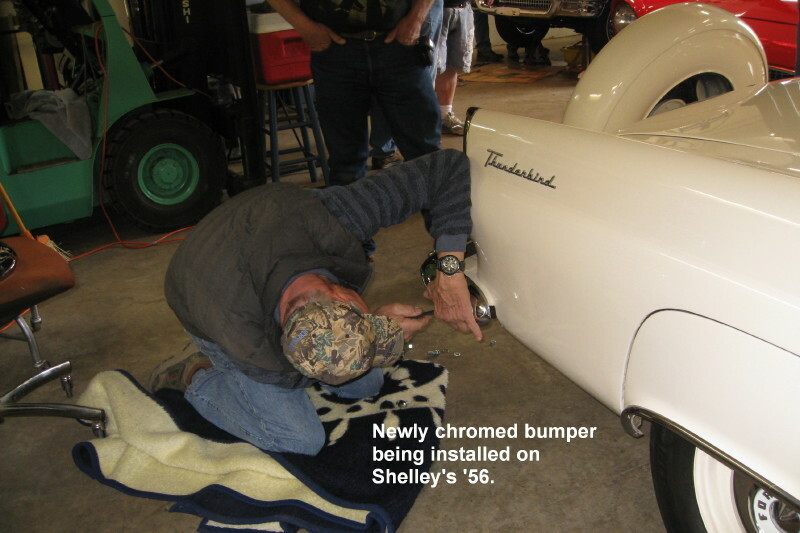 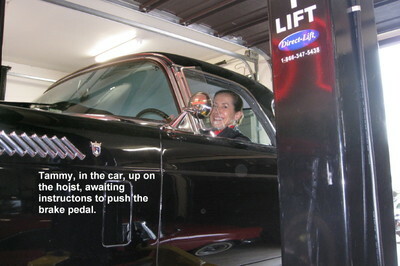 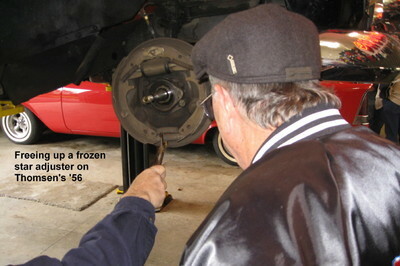 The notorious problem with '55 and '56 front turn signal grounding was also addressed on one car. 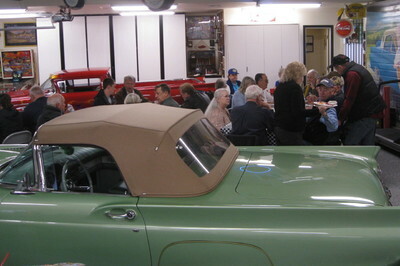 The red Chrysler above has a license plate of CCC C. Can anyone guess why? 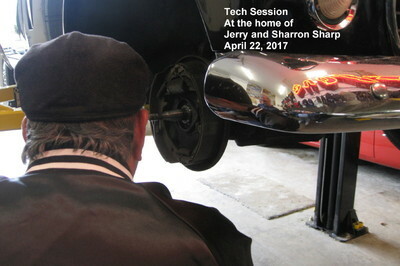 A big thank-you to Jerry for the use of his facilities and hoist. 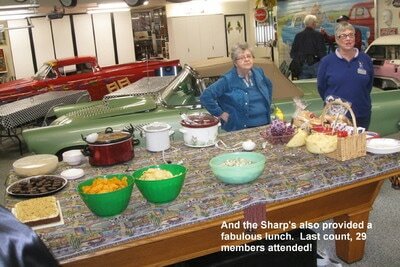 Also to Sharron and others for the great lunch feed.